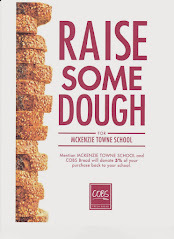 The final meetings of the year for the McKenzie Towne School Council and Parent Association are tonight, beginning at 6:30pm. Click the links to view the agendas for the MTSC and MTSPA. The minutes for last months MTSC and MTSPA meetings will be reviewed and ratified at the meetings tonight. Our final meeting of the school year is another milestone in this year of many 'firsts'. All parents are encouraged to join us for the meetings.